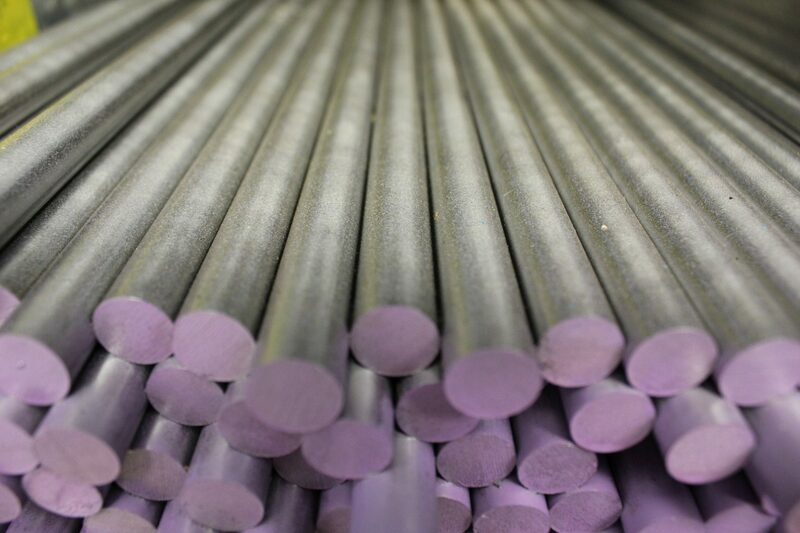 Company Primapol is newly offering Carbon and alloy construction steel. We keep stock from Cold forming steel, material which allow our customer to reduce cost of machining. – round bars, length 3000 – 6000 mm, version S 235 JRC + C / SH h9 according to ČSN EN 10277-2. The use of steel ČSN 41 1375 – unalloyed steel, marked S 235 JR, is intended for general technical use, steel construction and for use in civil engineering. Cold forming – steel marked S 235 JRC is designed for cold forming including cold drawing of steel. Hot forming – in the case of hot steel forming, the normalization annealing of the material must be applied to ensure the specified mechanical properties of the steel. Weldability – The steel is suitable for welding by all common processes, while adhering to the recommended standardized conditions for these processes (risk of cracks around weld when welding material increasing thickness). 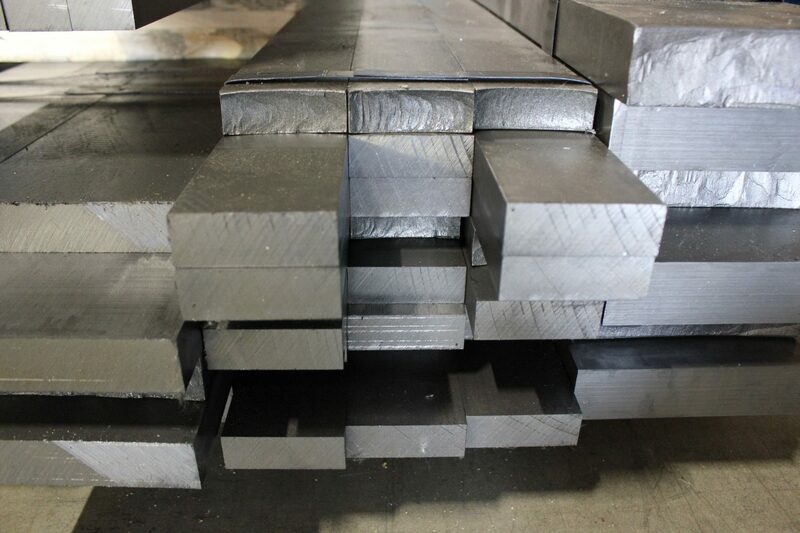 Application of steel ČSN 41 1523 – unalloyed steel grade S 355 J2 is intended for general technical use, cold-formed parts of welded constructions with higher yield strength and guaranteed impact value at -20 ° C.
Cold forming – The steel marked S 355 J2C is designed for bending, bending, edging, drawing and cold profiling. Cold forming of steel reduces the ductility of this steel. – round bars, length 3000-3100 mm, design 11SMn (Pb) 30/37 + C h9 according to ČSN EN 10277-3. 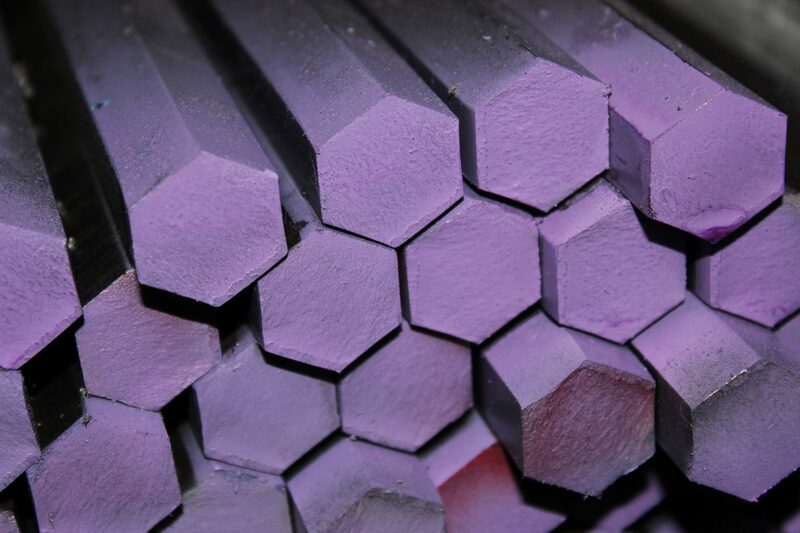 – hexagonal bars, length 3000-3100 mm, design 11SMn (Pb) 30/37 + C h11 according to ČSN EN 10278. Use of steel – Automated steel not intended for heat treatment designated 11SMn (Pb) 30/37 is suitable for the manufacture of machine parts, technical devices, parts of the automotive industry, etc. It is characterized by very good workability in the delivery state. Molding – in agreement with the manufacturer, it is rare to be cold in the delivered state, when considering this option, it is necessary to take into account the strengthening of the material eg by drawing or equalizing and peeling after peeling. Weldability – difficult, welding is not recommended, possible for local repairs of the product. 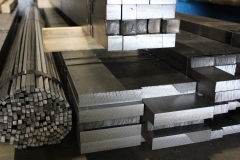 The use of steel ČSN 41 2050 – unalloyed stainless steel designed for further refinement marked C45 / C45E is suitable for production of less-to-medium-load components in engineering and transport engineering. Heat treatment – standardization annealing (840-900 ° C, air), quenching (820-860 ° C, water or oil), tempering (550-660 ° C), surface induction hardening or flame after min. 55 HRC hardness for cross sections up to 100 mm (followed by tempering 150-180 ° C / 1 hour). The durability of the steel is determined in accordance with EN 10083-1. Machinability – Heavy duty, chip machining most appropriate in the state of annealed steel or C45R grade steel with increased sulfur content. Hot forming – recommended hot forming temperatures are 1150 – 850 ° C.
Weldability – not recommended , difficult. round bars, length 3000-3100 mm, design 42CrMo4 + C / SH + Q (+ A) h9, according to EN 10278. 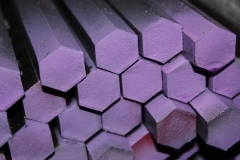 Use of steel ČSN 41 5142 – Cr – Mo for refining 42CrMo4 is intended for production of machine parts high toughness such as shafts, cogwheels, bandages and other components for the automotive and aviation industry. Heat treatment – standardization annealing (840-880 ° C, air), soft annealing (680-720 ° C), quenching (820-860 ° C, water or oil), tempering (540-680 ° C) induction and flame. The durability of the steel is determined in accordance with EN 10083-1. Machinability – Heavy-duty, chip machining most conveniently in an annealed steel or 42CrMoS4 grade with increased sulfur content. The use of steel – low-alloy stainless steel for cementing is suitable for the production of medium-duty parts of machines and vehicles. Heat treatment – normalization annealing 880 ° C, cementation 880-980 ° C (cementitious layer is influenced to increased toughness by adding boron 0.005%), hardening surface 780-820 ° C, standard hardness 30 mm, tempering 150-220 ° C.
Machinability – machinability improvement by the addition of sulfur.